House Speaker Nancy Pelosi made tough choices in the stimulus package, securing a tax rebate that includes most low-income working families while dropping provisions for temporary increases in unemployment and food stamp benefits. 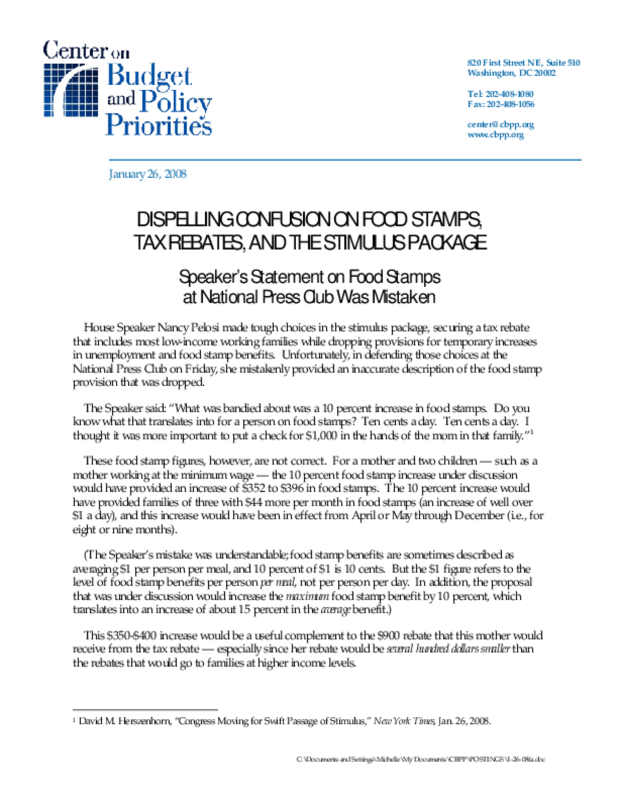 Unfortunately, in defending those choices at the National Press Club, she mistakenly provided an inaccurate description of the food stamp provision that was dropped. Copyright 2008 Center on Budget and Policy Priorities. All rights reserved.